If you are as old as we are, you may have fond memories of the screechy sounds of dial-up modems. 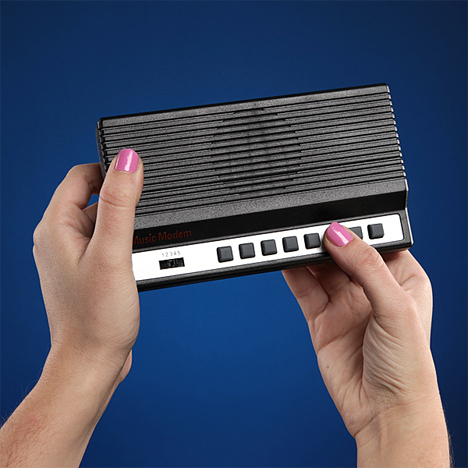 Remember waiting for the modem to dial out and listening to the beep booop beeeeeeeeeps before you were finally connected? We’re definitely better off with modern technology, but it’s a nostalgia thing. Think Geek feels the same way, and they are now carrying a product that recreates those eardrum-piercing sounds of yesteryear. 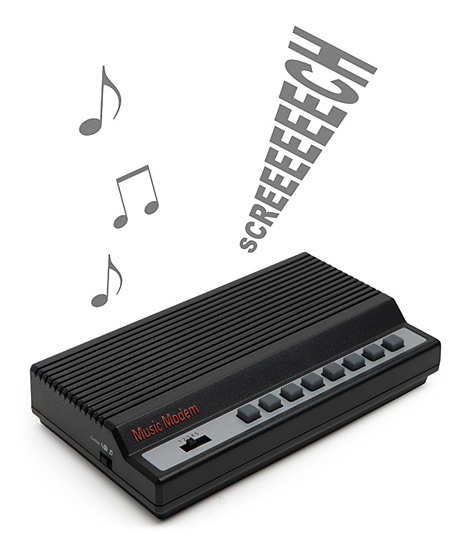 The Music Modem is a novelty synthesizer that plays older modem sounds, newer modem sounds, or regular, boring music sounds. One of the main selling points is the annoyance factor: play a long series of modem noises and you’re sure to get under people’s skin. But we think you’d also be able to create some pretty awesome tunes with this little box of nostalgia. See more in Gaming & Geek or under Gadgets. January, 2014.